Is Cell Tower Radiation a Toxin? Cell towers as well as Wi-Fi create continuous emissions of pulsed microwave radiation. Microwave ovens which use similar radiofrequencies at higher power cook by heat, however, at lower power adverse biological effects have been demonstrated in scientific studies without heating or burning the tissue. One mechanism of toxicity that has been clearly shown is oxidative damage, seen in 93 of 100 scientific studies (Yakymenko 2016). Oxidation is a common mechanism of toxicity found in pollutants such as pesticides, industrial chemicals, cigarette smoke and heavy metals. These pollutants can trigger inflammation and damage to cell structures such as DNA, mutations of which can be a precursor to cancer. Wireless radiation passes through and is absorbed in the body and organs and thus, like chemical toxins which are ingested, inhaled or absorbed through the skin, they can potentially cause broad harm to cellular structures and internal organs. Damage from RFR is cumulative, as it is with ionizing radiation and other toxic exposures. The longer the exposure the more harm. Toxic exposures can act separately or in combination synergistically to cause illness or cancer (co-carcinogenesis). Effects are non-linear and due to individual variation in genetics, nutrition and health. In 2011, the WHO International Agency for Research on Cancer (IARC) listed radiofrequency radiation (RFR) as a Class 2B Possible Carcinogen. Scientists have argued that considering the current level of published research on brain tumors and radio frequency radiation that RFR should be listed as a Class 1 Known Carcinogen. The National Toxicology Program (NTP) Study on Cancer and Cell Phones announced their findings in 2018, after 10 years of research on RFR, and showed DNA damage (a precursor to cancer) and clear evidence of carcinogenicity of wireless radiation emissions. They demonstrated in carefully conducted studies a significant increase in tumors of internal organs including the heart, brain and adrenal medulla (which sits just above the kidney). Another worrisome finding from the NTP was the development of aging of the heart in the exposed cohort. Scientific evidence indicates that exposure to multiple environmental pollutants, especially over time can increase the risk of diseases such as cancer. Some toxins exert their effects in certain windows of development. Some are tumor initiators and some can be tumor promoters. It is a complex area of scientific endeavor. Combined toxic exposures are unfortunately incompletely studied as it would take geologic time to examine the 80,000 plus chemicals in varying assortments along with radiofrequency radiation. Dr. Ross Adey concluded, however, in a 1990 review, that based on a new understanding of the biology of cancer at a cellular level and available studies, that non-ionizing electromagnetic fields “acting alone or in conjunction with chemicals that occur as environmental pollutants may constitute a health hazard”. Considering at least one shared mechanism of toxicity between chemicals and RFR, cellular membrane effects and the many studies performed this should be, as Dr. Adey states, “a matter of urgency” in terms of research and public policy. It is notable that Lurchi in 2015 found an increase in liver tumors, lung tumors and lymphomas in mice at low to moderate exposure at (0.04 and 0.4 W/kg SAR), and well below exposure limits for the users of mobile phones. 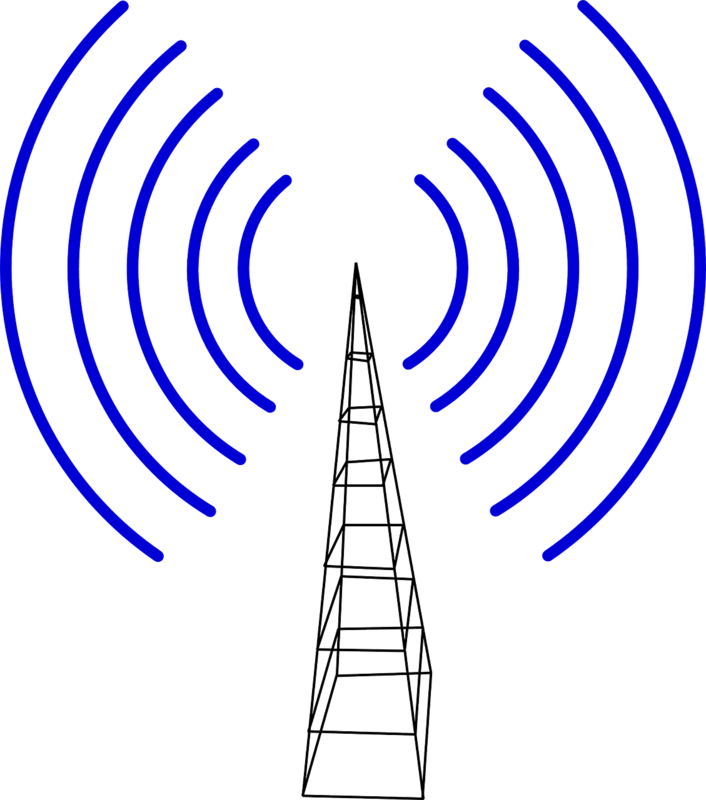 A recent forum was held March 25, 2019 in Shrewsbury, Massachusetts titled “Questioning the Safety of Our Children’s Exposure to Wireless Radiation in Schools”. The entire program can be seen here. The slides from the presentation are available here. The Worcester, Massachusetts news station reported on the conference. Ellie Marks, Founder and Executive Director of the California Brain Tumor Association, agrees with the decision to move the cell tower away from the school. She states, “Our reading of the situation is that science has established enough proof of harm that regulations should be updated now and appropriate warnings issued. The “jury” actually is back and it has given its guilty verdict.” She feels the tower “should be turned off for now even before it is moved, to protect the students, teachers, staff and administrators.” Adding a ban on further cell towers within the school district, as the LAUSD has done, seems prudent as well. In an update as of March 28, 2019, Sprint has stated that they have turned the campus cell tower off. Water quality concerns are also now being examined in Ripon with a chilling historical perspective on long term corporate pollution. The Nestle corporation manufactured caffeinated and decaffeinated instant coffee on Industrial Avenue in Ripon, California from 1957 until the plant closed in 1994. In order to extract the caffeine, they used a solvent Trichorethylene (TCE) From 1957 to 1970. TCE was banned in the 70’s as an extraction solvent in the food industry due to its toxicity. Later from 1970 to 1986 the company used Methylene Chloride, an EPA probable carcinogen, to remove caffeine. TCE in Well Water: In 1986 TCE was found to have leached into wells in Ripon either from storage drums above ground or from city wastewater pipes. Nestle then eliminated the toxic chemicals and spent $6.5 million to remove some of the contaminated water. In 2002, a court awarded Ripon $1 million from the Nestle corporation to filter contaminated groundwater and to drill additional wells. Unfortunately, the plume of TCE and other chemicals has migrated to deeper aquifers (Item 11 on Agenda). Monitoring of groundwater is done every 1 to 3 years as the plume can wander and the TCE cannot evaporate in soil or in underground aquifers. Nestle continues in remediation with Ripon, stating in a December 2016 Ripon City Council meeting they will install a new system to pump the contaminated groundwater then send it back to the former Nestle facility for recharge into the aquifer (Item 4A). TCE is a Known Carcinogen. The U.S. National Toxicology Program lists TCE as a known carcinogen and it is associated with liver cancer, kidney cancer and malignant lymphoma. TCE is still a component of paints, adhesives, lubricants, pesticides, electronic equipment, furniture and found in higher concentrations near industrial sites, landfills and sewage treatment plants. Studies have shown that much of the TCE exposure is not just from drinking water but more from taking showers with contaminated water with significant inhalation of the chemical. TCE in 10% of the Population. Biomonitoring studies such as The Third National Health and Nutrition Examination Survey (NHANES III) found that about 10% of the population has detectable blood levels of TCE. TCE is also broken down to another potent carcinogen, vinyl chloride. It is notable that a famous book and subsequent movie called “A Civil Action “, was based on the the 1982 trial of Anne Anderson et al.v. W.R. Grace & Co. et al whereby 2 municipal wells were contaminated with high levels of TCE from 3 industrial companies. 7 children and one adult contracted leukemia. The landmark case ended in a mistrial and settlement. Methyl Chloride is Ozone Depleting Toxin. March 2019 the U.S. EPA banned Methylene Chloride (aka Dichloromethane) in consumer paint products due to a number of fatalities from acute exposures. Methylene chloride (dichloromethane) is still used in industrial industrial paint strippers and many other products, including decaffeinated coffee and is an increasing contributor to atmospheric ozone depletion. Are the Cell Towers the Main Risk or an Additive Risk for Cancer? The question remains that with all other chemical exposures being equal and the presence of TCE in the water for decades, is the presence of the campus cell tower the tipping point for children’s health at Weston Elementary? Cumulative risk assessments for a specific disease performed to evaluate additive and synergistic exposures are time consuming and difficult to prove. Precaution is warranted. Removal of the cell tower is a good call.